Upper tract urothelial carcinoma (UTUC) is a rare genitourinary entity of the renal pelvis and the ureter characterized by a more aggressive disease phenotype when compared with urothelial carcinoma of the bladder (UCB) with more than half of UTUC cases presenting with invasive disease at diagnosis compared to 20% for bladder tumors. There is growing evidence suggesting that its distinct natural history from that of bladder cancer can be related to several genetic and epigenetic differences. Treatment of low-risk disease consists of kidney-sparing surgeries such as ureteroscopic and percutaneous treatments, segmental ureterectomy, and adjuvant topical and intracavitary chemo-immunotherapies. The standard of care for high-risk non-metastatic disease remains radical nephroureterectomy and bladder cuff excision with increasing utilization rates of minimally invasive approaches leading to reduced morbidity without compromising outcomes while the role of lymphadenectomy is still being investigated. The prognosis of UTUC has been stagnant over the past decade highlighting the need for further studies on the role of multimodal therapy (neoadjuvant/adjuvant chemotherapy, immunotherapy, targeted therapy) to optimize management and improve outcomes. Dominguez-Escrig JL, Peyronnet B, Seisen T, Bruins HM, Yuan CY, Babjuk M, et al. Potential benefit of lymph node dissection during radical nephroureterectomy for upper tract urothelial carcinoma: a systematic review by the European Association of Urology Guidelines Panel on Non-muscle-invasive Bladder Cancer. Eur Urol Focus. 2017. https://doi.org/10.1016/j.euf.2017.09.015. 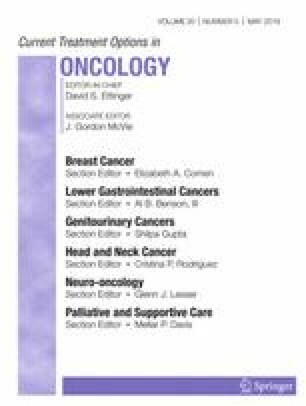 In this systematic review by the EAU bladder cancer guidelines panel, the authors review the studies comparing nephrouretrectomy with or without lymphadenectomy and found that lymph node dissection improves survival in patients with high-stage renal pelvic tumors if performed in an anatomical template-based approach.